It’s a reasonable question. 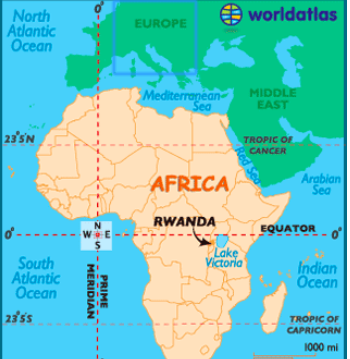 Most people aren’t even exactly sure where to find Rwanda…somewhere in Africa. But Rwanda is a remarkable country. It’s a very small land-locked country in east Africa. It’s green and mountainous with five volcanoes. It’s home to 12 million people and the mountain gorillas 🦍 made famous by Dian Fossey. It’s not at all what you’d imagine of a country in sub Sahara Africa. But there is also a dark history. The 1994 Rwandan Genocide was captured in a small way in the movie, Hotel Rwanda. In this civil war, one million people died in 100 days. It’s difficult to fathom. That was my introduction to this country. I heard an interview on the radio – and then promptly turned it off. “Surely this couldn’t be happening”, was my response. But it did happen and now I find myself in the midst of a country committed to recovery. Economically. Socially. Politically. The genocide in Rwanda became a catalyst for change rather than despair. From a strong reliance on foreign aid, at one point 85% GDP, Rwanda is rising. And it’s happening largely on the back of local industry and small enterprise. There are no natural resources to mine or waterways for trade. It’s a gradual build. Much like the Self Help Group approach for a nation. And one of the foundations of the rebuild is women. In 2003, the Government changed the constitution to require all committees to have 30% women membership. Even the parliament. Today women account for 64% parliamentary representatives. The highest in the world. The changes allowed for poor women to get access to finance if being part of a savings and loan group. The Government implemented Gender Desks at the local council level to support women facing domestic violence or discrimination. This acknowledgment and support of women has been repaid many times over. Women are becoming the engine room of economic growth. The poorest rural women are gathering together to start tiny businesses that impact the economy in their villages and districts. They provide for their families and become leaders in their communities. I first heard of the Self Help Group initiative for the poorest women in rural communities when visiting Rwanda in 2010. Speaking honestly, it looked too good to be true. And you know what that means, it usually is! So, I enrolled in a Masters of Community & International Development. A three year part time course including the completion of a research dissertation. 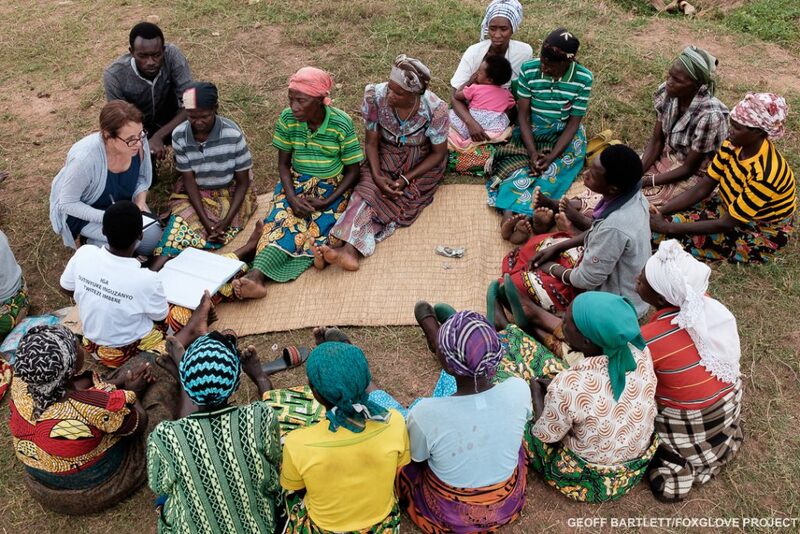 Focused on women’s Self Help Groups in Rwanda. And the results were astounding. Community acceptance, community leadership (one woman had become the village chief)…and the list goes on. It was after this research that I decided to join the SHG revolution. Its outcomes and impact exceeded anything I had seen in over 15 years of international development work. So, the answer to ‘Why Rwanda’ is multi faceted. It’s a combination of one of the poorest countries in the world, with an infamous history, making its own way out of poverty using a SHG approach focused on the capacity sitting dormant in the poorest rural women. It’s a very rare sight to see an approach working with the poorest of the poor and believing in their capacity to change their own lives and those of their family. Now, Foxglove is increasingly looking at expanding this learning to other Developing World countries like Tanzania, DRC and Uganda. It’s also supporting similar initiatives with pavement dwellers in India. And investigating opportunities with women in Australia. The Foxglove Project is a partner with Global Development Group (ABN: 57 102 400 993), an Australian NGO approved by the Minister for Foreign Affairs and DFAT for Grassroots Rwanda (J778N), Birds Nest India (J925N) and Focus Cambodia (J658N). Tax deductible receipts for gifts over $2 with a preference for approved development projects will be issued by Global Development Group.